Yes, Exercise Makes You Happy. Find Out How? Home › Yes, Exercise Makes You Happy. Find Out How? If you want to exercise, today is the day to start! If you feel motivated and energized, pack a gym bag overnight, set the alarm clock and wake up as soon as it buzzes. Grab a healthy snack and be on your way. People are constantly making excuses not to exercise; and it is time to do away with it. Yes, we do realize starting a regular workout routine is no easy feat. It is a momentous decision. But, think about the benefits of exercise not just on your health but also in your overall fitness, relationships and social life. Did you know exercise makes people happy? Yes, your body releases a happy hormone that keeps good feelings flowing all day long. People who work out regularly seem like a happy bunch of folks as you may have noticed. We all strive to be happy, and here’s one easy way of achieving it. 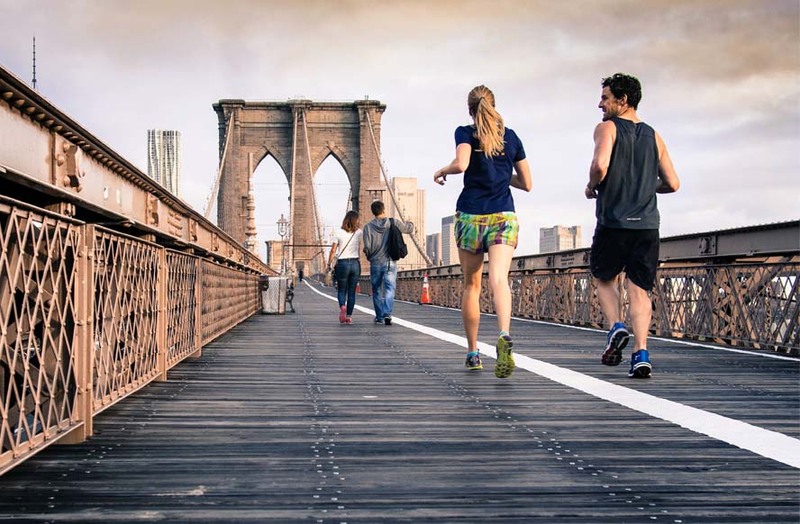 People that exercise whether it is mild or rigorous had a more pleasant aura than people who did not, according to recent statistics revealed by a study done at Penn State University. Disciplining yourself to a regular exercise routine allows you to set goals and achieve them. When you have clear intentions, it soon becomes the secret to success. Goal setting is a powerful tool to not just use during a workout session, but something that you will find highly useful in other parts of your life. Start with becoming disciplined at exercise, and you will soon see yourself becoming disciplined at other things. Exercise is also about staying healthy and fit. Natural diseases and health conditions that can strike you will minimize when you make regular exercise a part of your daily life. In fact, exercise is more effective than drugs for people that have already been afflicted by heart disease or stroke. Set up an exercise routine in collaboration with your doctor to remain healthy for decades to come. Some folks struggle with sleeping at night. They toss and turn all night, sometimes, unable to get a good night’s sleep. Exercise helps you sleep better. It keeps you fully alert and energized during the day, that you are ready to fall sound asleep at night. This is not an immediate fix, however, but you can soon start sleeping better than you ever did. Exercise boosts your energy. If you are feeling low on energy, the last thing you want to do is to run to the gym. But, this is what experts say you should do. Fatigue levels are known to drop 20% during a workout and give you that much needed energy boost! There you go. Exercise will do you a world of good. It will also trigger the happy hormone. You will also be the recipient of some fantastic lifelong benefits.